Nearly 10 million Americans have angina. Angina is the pain you feel when your heart does not get enough oxygen. This can be due to the build-up of fat and plaque in the arteries that blocks blood flow to the heart. Your nurse or doctor can talk about medicines and other treatments that may be right for you. New imaging tests for heart disease are being developed all the time. Your doctor may suggest a test not described here. This test takes an EKG of your heart while you exercise, most often by walking on a treadmill. The treadmill slowly increases in speed and grade (like walking up a hill) to make your heart work harder. If your heart does not get enough oxygen during the test, you may have angina. Your exercise test will help your doctor or nurse decide a safe level of exercise for you and if you will need other tests or treatments for your angina. An “Echo” is an ultrasound procedure that measures how well your heart is working (pumping) and how well your heart valves are working. During the “Echo” a monitor (transducer) is held over your heart to measure if your heart is pumping normally and shows how your heart valves are working. A cardiac cath is a very good way to see how blood flows to your heart. It usually requires you to be in the hospital for 12 to 24 hours. 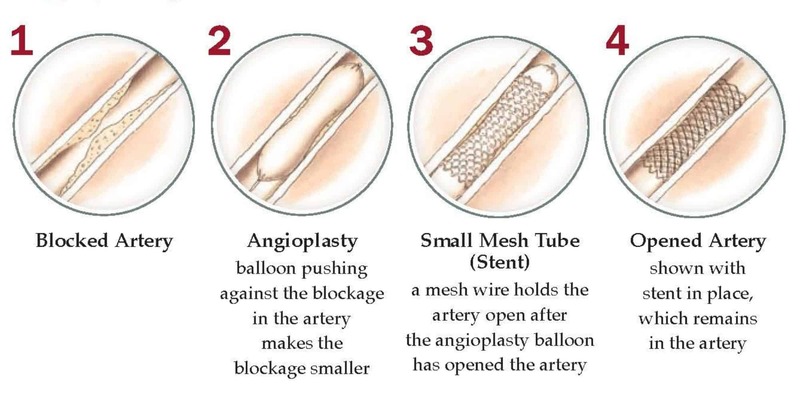 A cardiologist threads a small catheter (hollow tube) into your body through a large artery in your upper leg or arm. When the catheter reaches your heart, the doctor injects a small amount of dye into the heart’s arteries. X-rays are then taken to show the blood flow to your heart. This test allows your doctor to see if the arteries going to your heart are narrowed or blocked. This test uses X-rays and a nuclear tracer to create pictures of the blood flow to your heart during an exercise test. If the blood flow to your heart is good, the nuclear tracer shows up on the X-rays. If blood flow to certain areas of your heart is poor because of narrowed arteries, the nuclear tracer will not show up. If you can’t walk on a treadmill to take an exercise test, your doctor can use another medicine to look at the blood flow to your heart. Most of these medicines can be used alone or in combination to treat angina. You may be prescribed others if you have a stent. Make certain to take all medicines as you are told. Most medicines have few side effects. Talk to your doctor or nurse if you think you are having side effects. Beta-blockers are used to treat angina and other health problems like high blood pressure and abnormal heart rhythms. Beta-blockers cause your heart rate and blood pressure to go down and reduce how hard your heart works. Calcium channel blockers help keep your arteries from getting tight or narrow. Some calcium channel blockers also lower blood pressure, which reduces how hard your heart works. A late sodium channel blocker has been shown to be helpful in treating angina. This medicine does not affect heart rate or blood pressure. It helps the heart relax between heart beats, which improves blood flow to the heart. Nitroglycerin (NTG) is medicine used to improve blood flow to the heart. There are two different forms of NTG. Fast-acting NTG acts very quickly while long-acting NTG lasts for a longer period of time. Fast-acting NTG comes in two forms: a tablet or spray that goes under your tongue. Most people with angina should keep fast-acting NTG with them all the time. Fast-acting NTG quickly stops angina by causing blood vessels to relax and open up so more oxygen-rich blood flows to the heart. Stop what you are doing, sit down and rest. If your angina does not quickly go away with rest, put one NTG tablet under your tongue or spray NTG under your tongue. Continue to rest until your angina goes away. If your angina is not better after 5 minutes of rest and taking NTG, Call 911 or go to the nearest emergency room. You may be having a heart attack! Long-acting NTG provides a small amount of NTG into your bloodstream all day. Many people take long-acting NTG so they have less angina during the day. Long-acting NTG comes in pills and skin patches. You can take fast-acting NTG for angina even if you take long-acting NTG. Keep NTG in the original bottle it came in. Do not mix NTG in pill containers with your other medicines. If your bottle of NTG has cotton, throw the cotton away. Always have a fresh supply of NTG. Get a new bottle of NTG every 6 months. NTG spray will last 2-3 years. Keep NTG at room temperature; don’t let it get too hot or too cold. Always keep NTG with you. When using a NTG skin patch or spray, follow your doctor or nurse’s instructions carefully. Medications to improve sexual performance in men can cause an unsafe drop in blood pressure when taken with NTG. These two medicines should not be taken in the same 24-hour period. 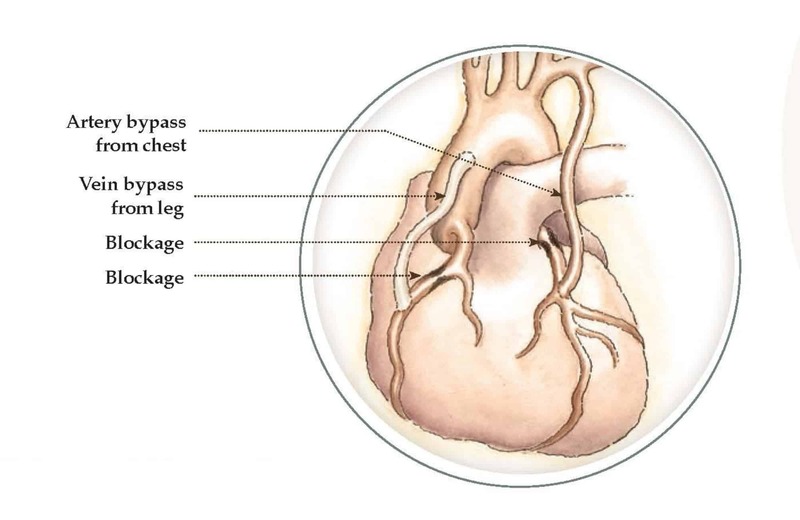 A bypass adds new blood vessels so blood goes around the blockage. An EECP involves putting cuffs on the legs that repeatedly fill with air and then empty. This acts like a pump on the legs and helps fresh blood and oxygen get back to the heart. You will need a prescription for EECP. Talk to your doctor or nurse.